A recent Gartner report pointed out that the global semiconductor revenue was $476.7 billion, an increase of more than 13 percent as compared to the last year. Like previous years, memory was the single biggest segment within the semiconductor industry that accounted for the majority of the industry’s total revenue. While almost all the major semiconductor firms of the world that include the likes of Intel, Samsung, STMicroelectronics, Infineon technologies, Texas Instruments, and NXP among others posted an increase in net sales in 2018 over 2017, there were some takeaways from their financial sheets. 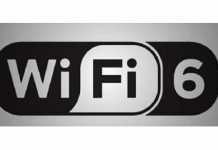 The biggest of them all was Samsung maintaining its lead over rivals Intel at the top of the table. There were also some major highlights from the second half of the table. 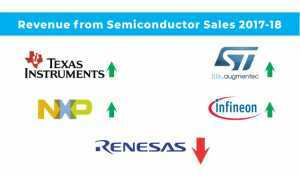 Renesas Electronics saw a massive dip in its net revenue compared to some of the semiconductor companies Vis. STMicroelectronics, Infineon Technologies, Texas Instruments, and NXP. Their performance in 2018 on almost all points was subpar to their performance in 2017. According to their statement to the press, full year consolidated net sales were 757.4 billion yen, down 3.1% year-on-year. Full year semiconductor sales were 740.5 billion yen, a 3.3% decrease year-on-year. Their automotive sales decreased by 3.4% year-on-year. Steady sales from non-Japanese customers despite slowdown in the second half caused by the European vehicle emission regulations and decrease in Chinese sales were offset by weakened demand from Japanese customers in respect to the inventory buildup in FY17. Industrial sales and Broad-based sales decreased by 4.7% year-on-year and by 0.2% year-on-year, mainly due to a decrease in demand in the FA, home appliance and broad-based markets owing to an economic slowdown in China, respectively. If you take a look at the table above, it becomes quite clear that Renesas’ competitors showed a positive year-on-year growth that was also in tandem in the overall increase in the worldwide semiconductor revenue in 2018. That means, while all the major semiconductor vendors enjoyed a handsome share of the pie, Renesas Electronics missed out on the party. Now, a legible question here would be to ask as to what did Renesas do wrong that its net revenue plummeted by more than 3 percentage points between 2017-2018? 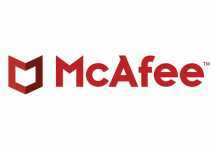 And, more importantly, will this have any negative repercussions on the firm going forward as the competition in the semiconductor space is expected to heat up? It is interesting to dissect what he said. The factors that he predicted for the bad performance of Renesas in 2018, namely weak market conditions, and restrained production are challenges that are faced by almost all the semiconductor vendors globally. There is a lot of fragmentation in the semiconductor market, and that makes it unfavourable for the firms involved in it. However, the jury is out on if that is reason enough for Renesas’ weak performance, especially, when its competitors have done considerably well. The Automotive market is expected to be the biggest segment for semiconductor vendors going forward. This is an exciting time, both in terms of opportunities and innovations that are happening in the automotive market. 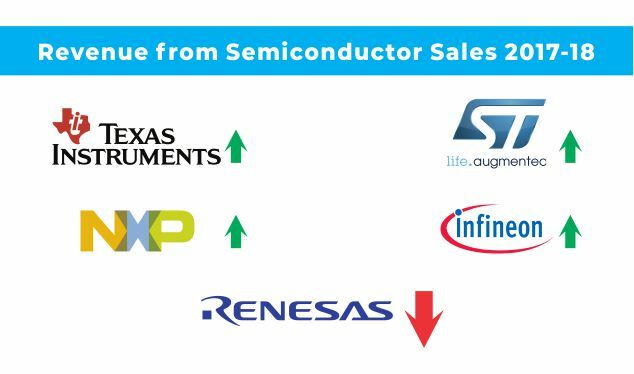 STMicroelectronics, Infineon, and NXP posted a growth in their automotive revenue, while Renesas saw a dip in its own as compared to 2017. Compared to its closest competitors, Renesas was the only vendor that saw a decline in its annual revenue generated by the automotive segment in 2018. This is especially a problematic figure. Currently, the world is making a push towards electric mobility, and semiconductors remain a vital of EVs. So, from developed markets like the USA and Europe, to developing markets like India and Africa, seem hell bent on switching to electric mobility. A dip in revenue in this segment could haunt Renesas in the time to come as it is likely to turn investors and potential customers away from the firm towards some of its competitors, and that would be a missed bus for Renesas.